Congratulations to Dr. Steve Ghan on his invitation to speak at this year's Gordon Research Conference on Atmospheric Chemistry. Speakers at the Gordon Research Conferences are recognized internationally as leaders in the fields of the biological, chemical, and physical sciences and are invited to discuss recent advances in their research. The goal of the biennial Atmospheric Chemistry conference is to bring together laboratory, observational, and modeling scientists that combine detailed and general perspectives on atmospheric processes and properties. The program includes a range of topics and new developments in the field of atmospheric chemistry, with a particular emphasis on the role of aerosols and the implications of atmospheric chemistry research for climate change. Dr. Ghan will focus on the incorporation of aerosol processes and properties in global modeling frameworks, discussing recent work in the field and introducing a path toward meeting future needs in a presentation titled "Aerosols and Gases in Global Atmosphere Models: Current and Future State of the Science." Held annually since 1931, the Gordon Research Conference provides an international forum for the presentation and discussion of frontier research in the biological, chemical, and physical sciences, and their related technologies. Scientists with common professional interests come together for a week of intense discussion and examination of the most advanced aspects of their field. The format of the conferences permits junior scientists, post-doctoral fellows, and graduate students extensive time to interact with the speakers in an informal setting. This year's conference on Atmospheric Chemistry will take place August 26-31 in Big Sky, Montana. 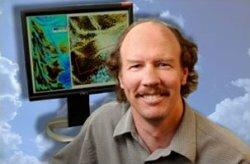 As a member of the Climate Physics group at PNNL, Dr. Ghan's work involves a combination of development, evaluation, and application parameterizations for climate models.